2018 has been a year of uncertainty for HNW and UHNW families looking to carve a stable future, both for business and succession. 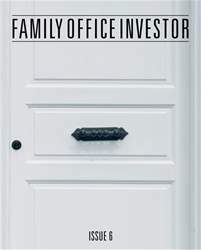 However, the fundamental motivations of Family Offices do not waver in turbulent times – diversifying investment portfolios and seeking high returns remain key drivers, writes Helen Cox, Managing Associate at Mishcon de Reya LLP. In times of uncertainty, we see our clients taking one of two divergent avenues: pushing new frontiers or folding into the arms of tradition. Amidst political turmoil and a slew of onerous tax changes targeted at traditional investment property opportunities, clients have forced to innovate. Among the key trends of 2018: impact investing, crypto-speculation and fine wines are just a few capturing the imaginations (and wallets) of HNW and UHNW families. Charitable giving and philanthropic initiatives have formed an intrinsic part of the lives of HNW and UHNW families over recent decades. In 2018, we have seen a real shift in social giving becoming part of an investment strategy rather than a side project. Impact investing is effectively investing for both a financial return and a quantifiable social and/or environmental impact. The Global Family Office Report 2018 stated that, as of 2018, 38% of family offices are involved in sustainable investing, with the most commonly invested in areas being ‘thematic investing’ (e.g. clean energy, water, gender equality and healthcare) and the integration of environmental, social and governance factors into analysis and valuation. DOES IMPACT INVESTING MAKE YOU TICKR?